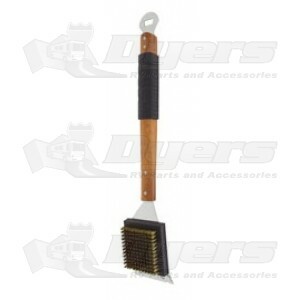 Clean more grill surface with this 18" grill brush with oversized, removable brush head. This is not a throw away brush! Stainless steel bristles for easy cleaning. Includes a built-in stainless steel bottle opener and scraper. Built-in stainless steel bottle opener and scraper.